Parker is a 7½-year-old Golden Retriever who has many jobs in life. First and foremost he is a beloved member of his family. He is a professional animal actor and model, appearing in various print ads, commercials, national & local television, and music videos. He also performs in live theater, having previously appeared at HART Theatre in STAGE'S productions of Cheaper by the Dozen (2012), Belles on their Toes (2015), and at Theater in the Grove as Sandy in ANNIE (2013). Perhaps Parker Pup’s most important job is that of therapy dog. Parker is registered with Pet Partners, and visits Doernbecher Children's Hospital, OHSU, Kaiser Westside Medical Center, Kaiser Interstate Radiation Oncology, Beaverton Library, and various schools from preschools to colleges. He also works at the Washington County Sheriff's Office and is on call to respond to crises through Cascade Canine Crisis Response Team. Parker works alongside children and adults, many of whom are battling cancer. This brings us to his other job: cancer awareness advocate. Parker works to raise awareness, in part due to his own dad's battle with an aggressive cancer, and raises funds for various nonprofit organizations such as Morris Animal Foundation and the American Cancer Society. A big part of his message revolves around his cancer vest, which carries thousands of names of people and animals who have battled the disease. He wears it to various walks and honors each name, and as a result touches many people who need that support. Everyone has the power to make a difference, even if that message is "I care." Parker Pup recently broke from his very busy schedule to field a few questions from Spot, and otherwise share a few thoughts. . .
Parker Pup: I despise getting my nails trimmed. It never used to be an issue, but in the last year I have become very averse to having them trimmed. Spot: What is your #1 guilty pleasure? Parker Pup: Doggy ice cream and popcorn. Wait, why are you asking? Do you have some? Spot: If you could be successful in a career other than your chosen one, what would it be? Do you hope to pursue it in this lifetime? Parker Pup: I would love to learn more about Search & Rescue and help people in that way, but unfortunately my busy schedule doesn't allow enough time for it. Maybe someday I can provide therapy at a Search & Rescue base camp. Spot: What’s your most prized possession? Parker Pup: Many people will think it is my tennis ball (and don't get me wrong, I usually have that near me every second of every day), but I am very proud of my cancer vest — the lives it has touched, the people I've met because of it, and places it has taken me. Parker Pup: I would love to have one right where it is in Beaverton. I love my home!! Dorothy was right — there’s no place like it. The other ... maybe somewhere on the Oregon coast. I love to run on the beach, chasing tennis balls, frisbees, birds, and other dogs. Plus I could surf every weekend! Spot: What’s on your bucket list that you absolutely want to do/accomplish? Parker Pup: Fitting 2 tennis balls in my mouth is just not possible (I've tried) so instead I will say getting more people involved in making a difference. For me, that's therapy work and fighting for a cure to cancer. 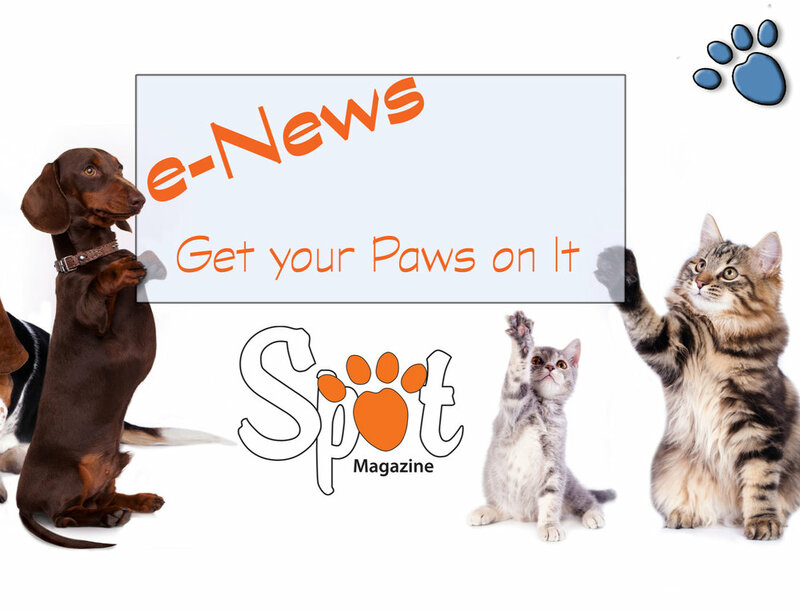 For others that might be finding out more about Parkinson's or helping shelter animals. The possibilities are endless! I think everyone should find their passion and leave this world a little better and a little brighter than they found it. Parker Pup: I would love to support studies such as the Golden Retriever Lifetime Health Study through Morris Animal Foundation. I'd also donate more to American Cancer Society and Leukemia & Lymphoma Society. While we're at it, I would donate to animal shelters and get them lots of tennis balls (cats like tennis balls too, right? RIGHT?). Maybe I would also use some to go on a cross-country tour to meet all the amazing people who have supported me and the special charities I'm involved with. Also, dog food, tennis balls and ice cream for everybody! Parker Pup: I hope people see that I love to entertain. Whether it's on stage or just doing tricks for a child who is crying, I love to perform! I want people to see how much I love unconditionally. I don't care if people are sick, sad, or if they have made bad choices in life. I just want to offer you a furry head to pet, and an open heart. Every person needs to know they are valued. People who don't feel valued are very unlikely to make positive contributions to society. My goal is to make you smile and offer hope. I hope people see that I am first and foremost a member of the family. I just happen to follow my heart. I truly believe that there are a lot of other dogs out there who can do what I do, too, but maybe their talents go untapped. Spot: What is your favorite season? Parker Pup: Summer because that's when the majority of my cancer walks take place! 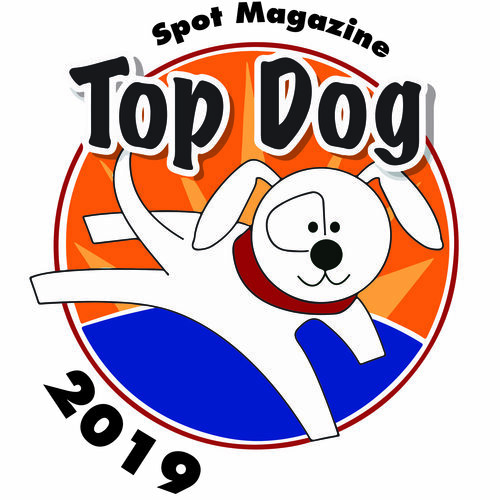 Spot: Thank for you for spending time with us, Mr. P, and for all you do! We love you. Please give x’s and o’s to your brother Reser, too! May 17, 2015 by Spot Magazine.